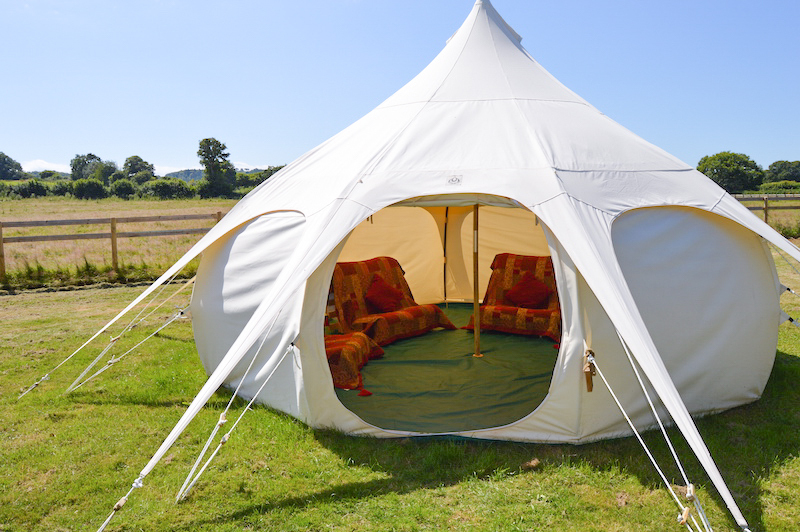 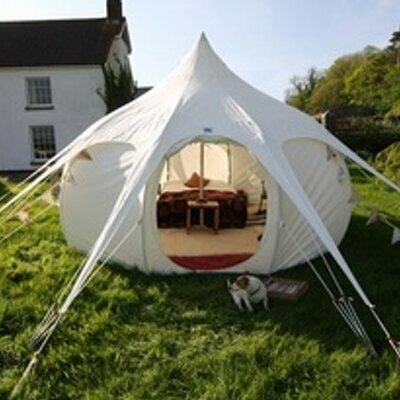 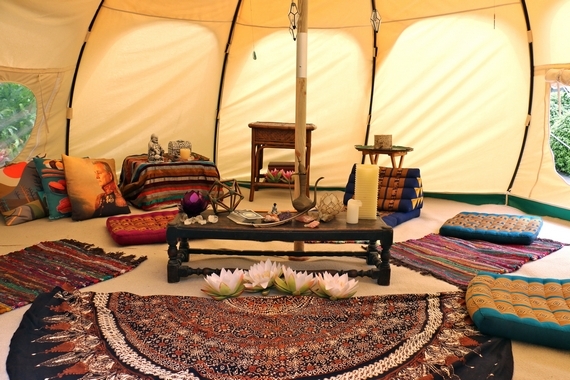 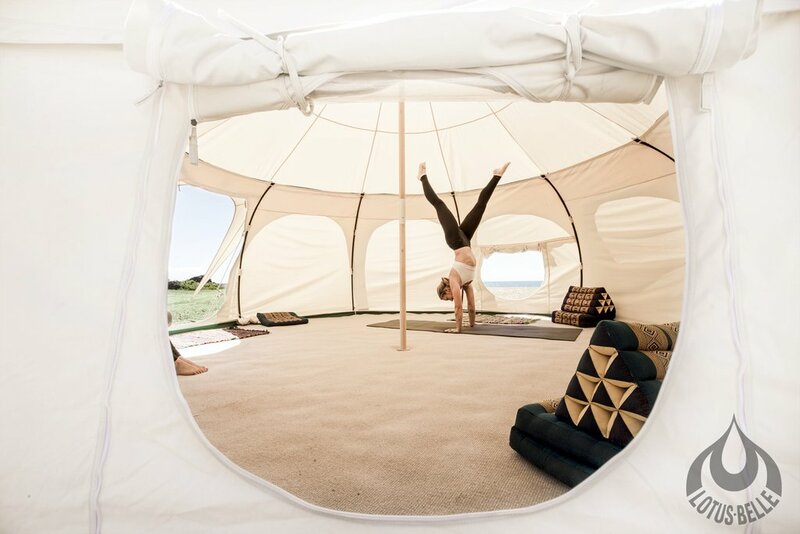 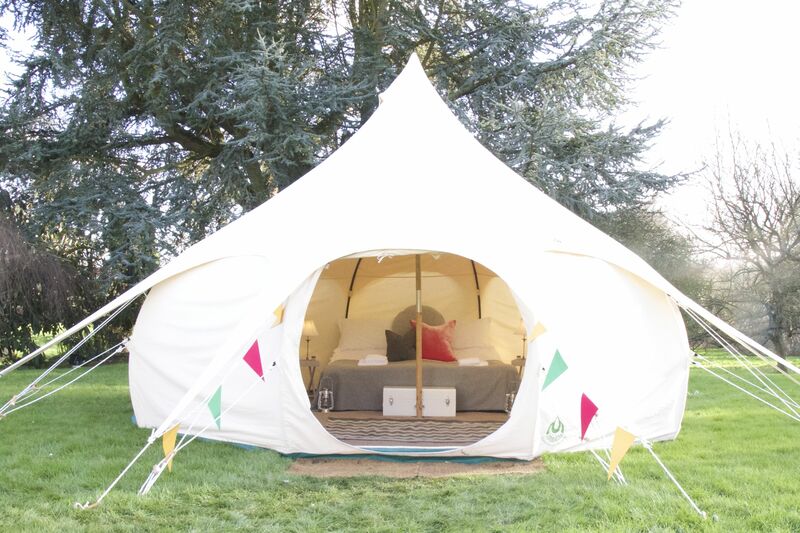 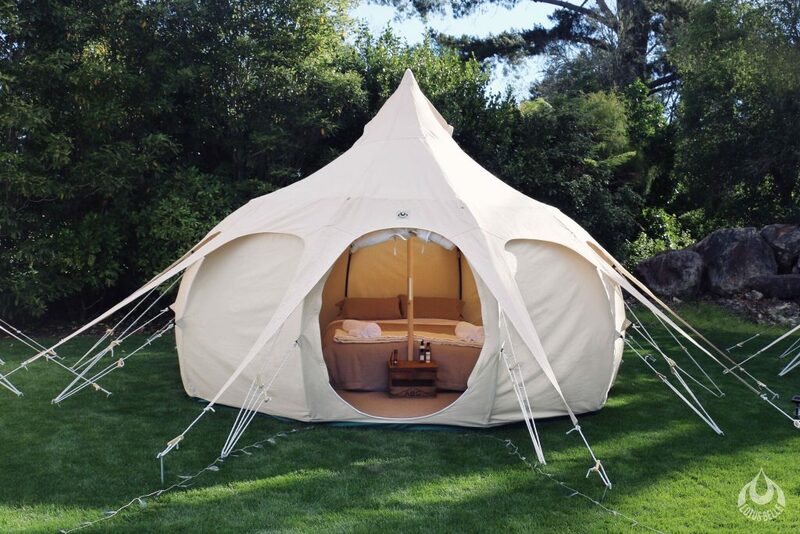 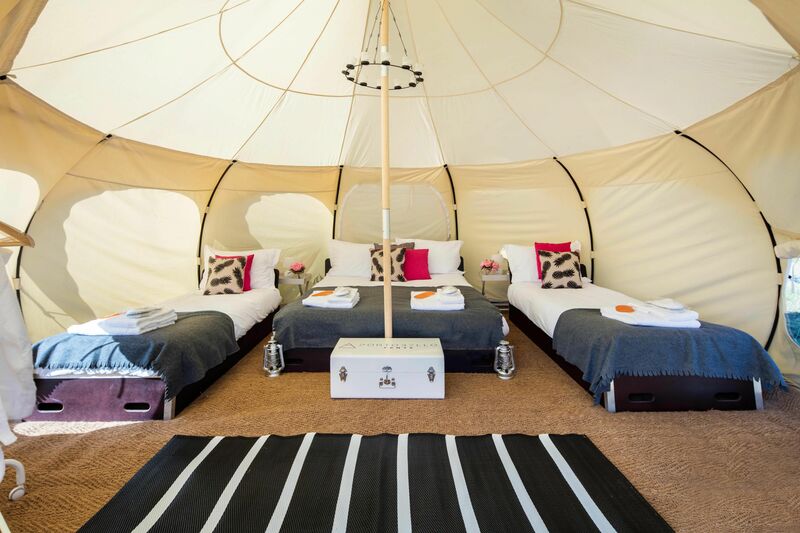 VIP luxury 5 meter Lotus Belle Tent complete with memory foam mattress. 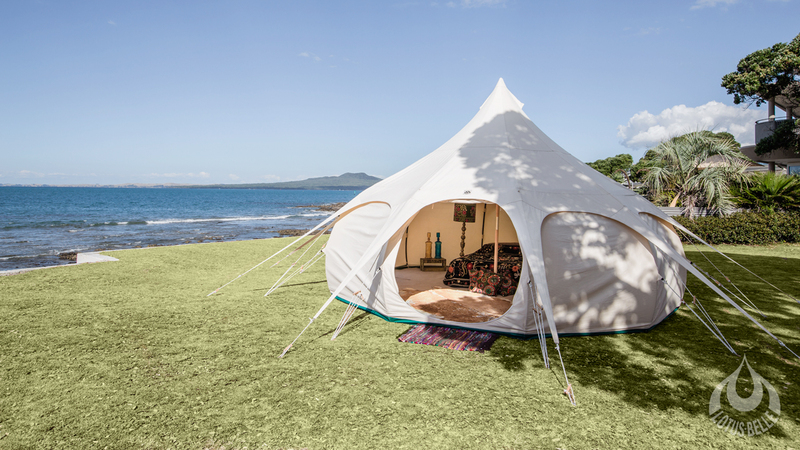 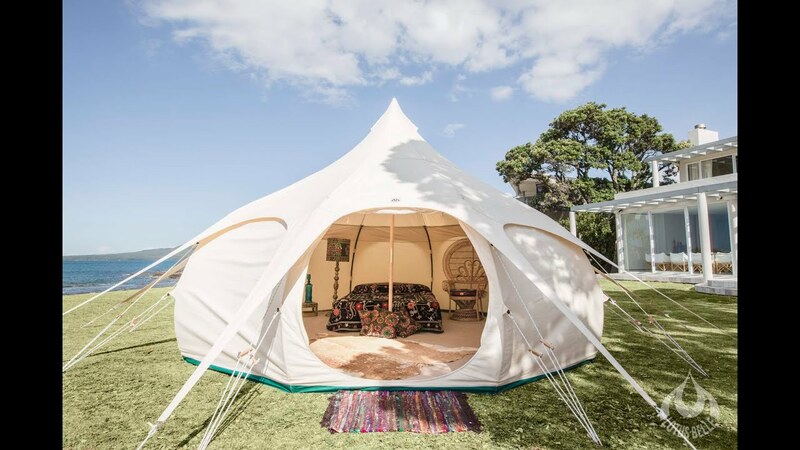 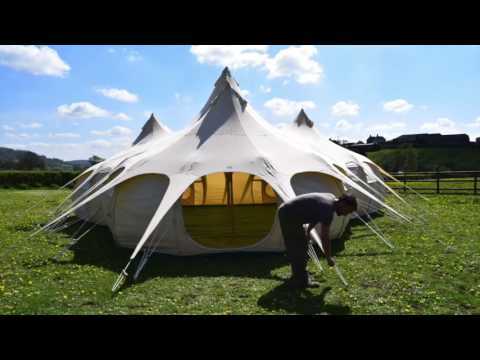 VIP Lotus Belle Tent with Family layout. 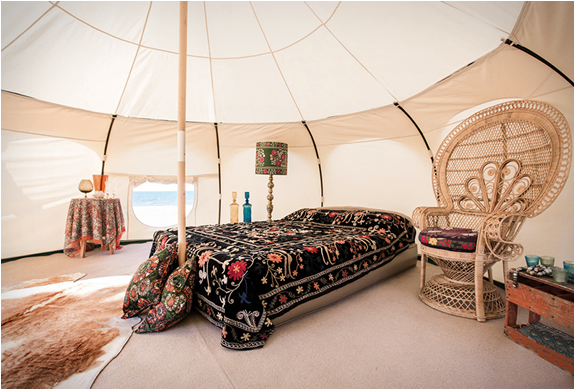 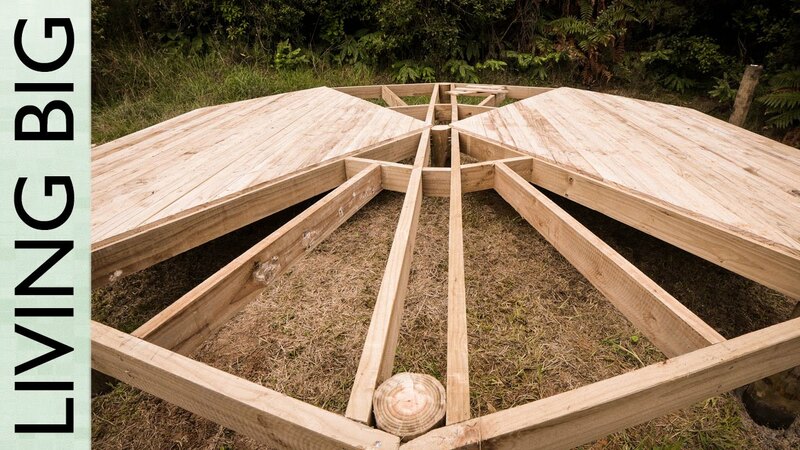 A kingsize bed and two singles.